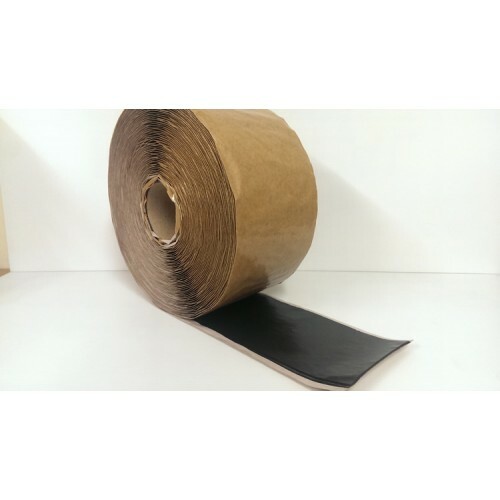 Firestone 5" Flashing Tape is a semi-cured EPDM Flashing laminated to cured Seam Tape. This can be used to join EPDM, Flash Gravel stops and other details as specified in the Firestone Specifications. Use Quickprime Plus Clean and prime the mating surfaces, refer to the download section for installation details. Store at temperatures between 15 - 27 degrees, when exposed to lower temperatures, restore to room temperature prior to use.